Giving new hope to patients with early metastatic cancer. Welcome to the University of Florida Health Metastatic Cancer Program: an alliance of experts, including scientists, physicists and healers, working in a multidisciplinary approach to treat early metastatic cancer. Through a combination of groundbreaking new science and personalized patient care, the Metastatic Cancer Program at UF Health in Gainesville, Fla., and Jacksonville, Fla., stands apart from any other in the world. Our integrated strategy offers comprehensive treatment through an aggressive new approach, working collaboratively with a patient’s existing medical oncologist and in tandem with standard treatments. Treating metastatic cancer with the intent to cure is a relatively unconventional approach. But with the advent of advanced targeting technology and the unmatched expertise of our dedicated physicians and staff, we’re confident in the innovative work we do, and even more encouraged by the remarkable record of our patients’ continued successes. 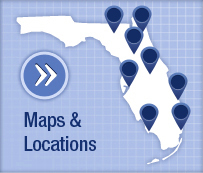 The UF Health Metastatic Cancer Program treats oligometastases, or cancer that has spread to multiple locations with a limited number of lesions. A patient is defined as having metastatic cancer when the cells of an original tumor have spread to other parts of the body. All metastases are considered stage 4 cancer and have traditionally been considered incurable. 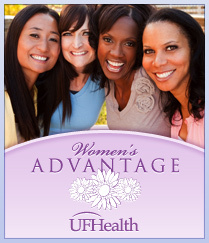 However, at the UF Health Metastatic Cancer Program, we see things differently. Recognizing that not all patients with stage 4 cancers are alike, we tailor an individualized, aggressive approach for each patient that offers new hope for those with limited metastatic spread. 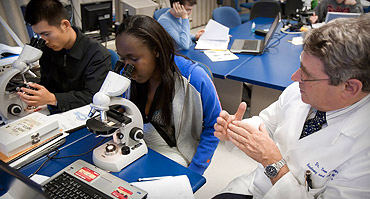 Cancers treated at the UF Health Metastatic Cancer Program include metastatic breast, colon, kidney, lung, melanoma and prostate. If the primary tumor has spread to the lung, bone, brain, lymph nodes or liver, the UF Health Metastatic Cancer Program offers comprehensive metastatic treatment, along with standard chemotherapy prescribed by the patient’s existing physician. Fifteen years ago in Rochester, New York, the idea for a different kind of Metastatic Cancer Program began with the pioneering efforts of one exceptionally courageous doctor, Paul Okunieff, M.D. Dr. Okunieff first had the daring idea to tackle metastatic cancer in a new and aggressive way – with the intent to cure, not just to comfort. Now, more than 15 years and many thriving patients later, his vision for patients with metastatic disease is a reality at the UF Health Cancer Center. After all the hard work and energy each patient puts into their fight against metastatic disease, we’re determined to do everything in our power to maintain a successful rate of recovery for them. Patients undergoing a cancer treatment regimen at the UF Health Metastatic Cancer Program are also scheduled to receive ongoing screenings every three to six months to promptly identify any additional lesions that can be treated. While each follow-up screening may not be covered by insurance, it is a recommended and integral part of a comprehensive strike against metastatic cancer. Rediscovering hope for metastatic cancer treatment. At the UF Health Metastatic Cancer Program, we welcome hope at every turn, and invite optimism where it may have once been lost. We don’t pretend to have the cure for every patient’s cancer. But we do pour every ounce of passion, skill and expertise we have into the cases we can treat. Click here to find out if you may be a candidate. 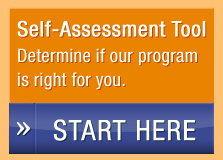 Call 1-855-860-8070 to learn more about the program.